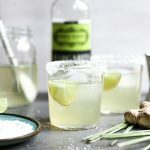 To make the ginger-lemongrass simple syrup, add 1 and 1/4 cup water and 1 cup sugar to a saucepan over medium heat and bring to a simmer, stirring occasionally to help dissolve the sugar. Trim off and discard the top halves of the 2 lemongrass stalks (the green, dry end). Then peel off and discard the outer leaf layer from the lower halves. Roughly chop the remaining lower halves of the lemongrass stalks and add them to the simmering simple syrup along with the 2-inch piece fresh ginger, peeled and sliced. Cook the mixture for 10 minutes. Then remove the saucepan from the heat and allow the lemongrass and ginger to steep in the simple syrup while it cools to room temperature. Once cooled, strain the simple syrup, collecting and discarding the solids. Refrigerate until chilled. To make the ginger salt-sugar rim mixture, add the salt, sugar and grated ginger to a small bowl. Use your fingers to rub the grated ginger into the salt and sugar. Set aside. To make a cocktail, first wet the rim of your glass with a small amount of lime juice. Invert the glass over the ginger salt-sugar rim mixture, pressing down to coat. Add fresh ice to the glass. 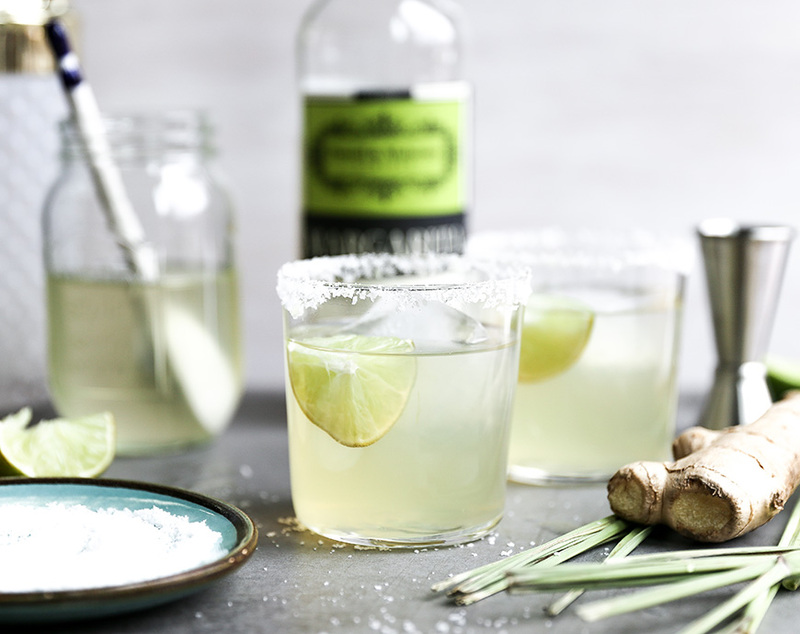 Add the P&M Classic Margarita, tequila, simple syrup and a squeeze of fresh lime juice to a shaker with ice. Shake vigorously to chill. Then strain into your prepared glass. Garnish with a lime wedge, if desired. Enjoy immediately!